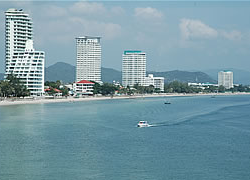 If you are looking at buying property in Isaan then you might consider the options that are available to you in Isaan. There are no highrise buildings in Isaan and you might have limited options. Here are the options available to you in Isaan which you might like to consider. If you are in Isaan and looking for property many expats tend to do one of the following. Most rent houses. These rental agreements tend to be for either a year or for 5 years. When the lease is longer than 3 years the lease agreement has to be registered with the Land Department as it is attached to the Title of the property. This ensures that if the house is sold that the new owner knows that there is a lease agreement in place. Those who rent short-term tend to want to view the area first and live in it for a while before they take a long lease or buy the property. Buying property in Isaan can become an issue as a foreigner may not own land unless it has been approved by the Minister of the Interior and the foreigner has made a multi million Baht investment in Thailand. Most expats or foreigners do not do that as they are either looking at retirement or settle up home with their new wife. This is usually where most of the problems occur as they tend to place the house in the name of their wife. Being that a foreigner may not generally own property you have to sign an agreement at the Land Department that you have no vested interest in the property. Your Thai wife owns the property and this does not generally fall under what is called “common property’. Should you wife file for divorce generally that is the end of your home. In-laws can become a problem and in order to avoid the situation where you may lose your investment during a divorce you may consider a registration of a usufruct against the property that your wife now owns. This gives you some leverage in the event of a divorce or the in-laws creating problems. Condo units there are however they are small Thai style units and most do not like them. They are very basic units without a pool most times and with no working elevator. The apartment blocks tend to be lower than 5 floors as over 5 floors the law is going to demand an elevator. Top floors in Asia tend to cost less as nobody wants to live at the top when they have to walk up all the floors. If you are looking at buying or renting property in Isaan or anywhere in Thailand speak to one of our lawyers in Isaan with regards to any questions you might have. Speak to us by calling our toll-free US or UK numbers or speak to us via live chat on our main website. We are always here to help you! 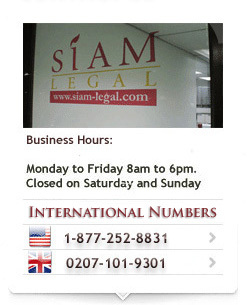 Walk into any of our offices in Thailand or simple call us.